We’ve called Maisy “Peanut” since the day she was born. She was always so small and sweet and little that Peanut was the most perfect name. So when we saw this book at Target, Justin and I just had to get it for Maisy. 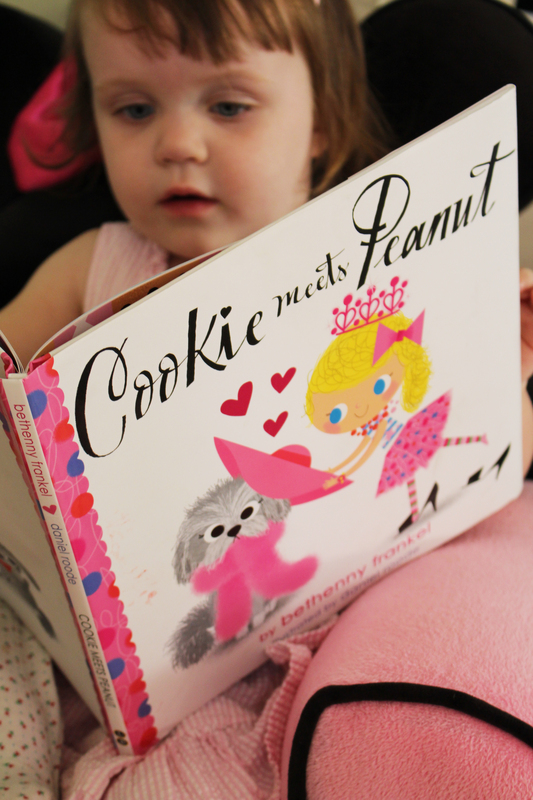 “Cookie Meets Peanut” by Bethenny Frankel has quickly become a favorite in the house, probably because Maisy thinks it’s all about her. 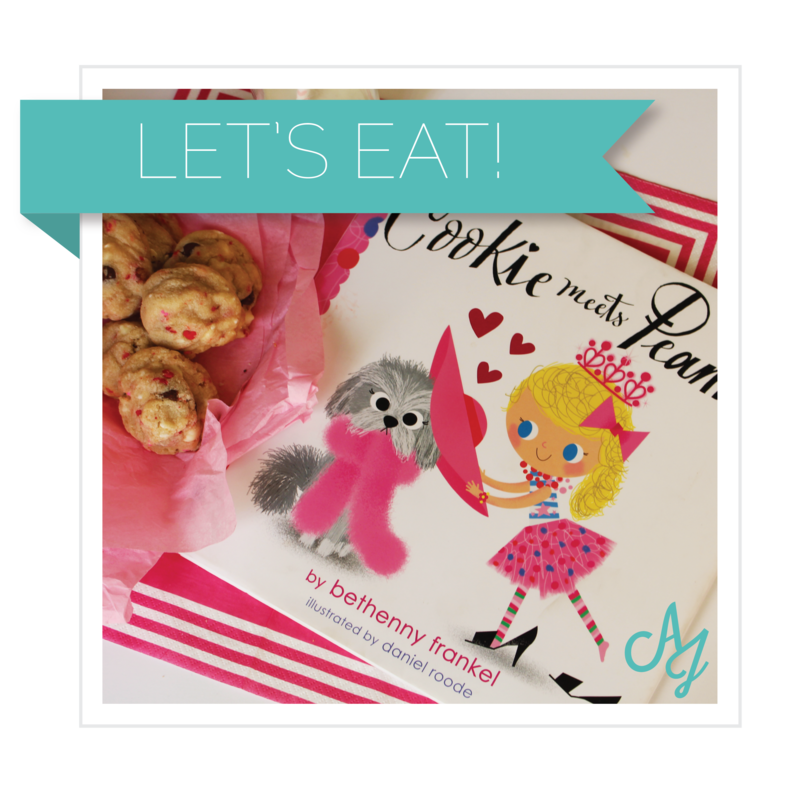 So, while reading, I like to whip up a few sweet cookies to share with my Peanut–the best part? 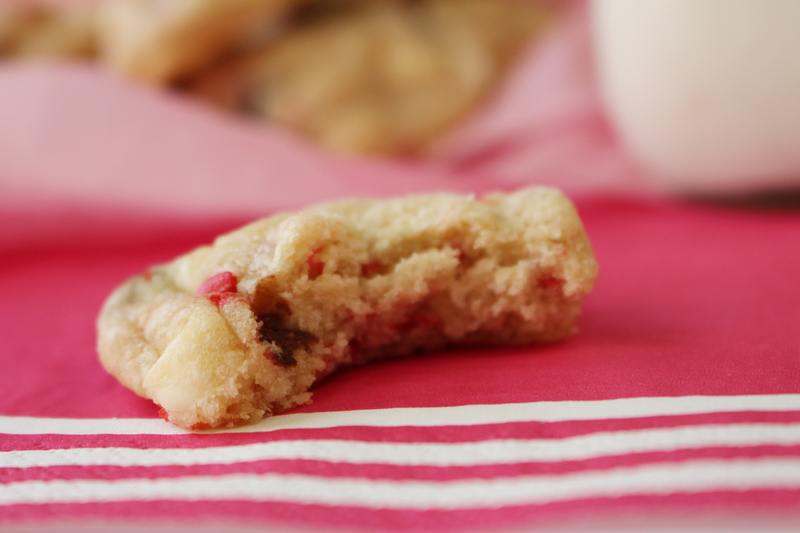 These cookies are versatile enough to make at any holiday or occasion and their delicious enough to eat them all. I recently made a batch with lots of little pink and red Valentine’s sprinkles and I shared them with not only my Peanut, but also my sweet coworkers. I adapted my recipe from Sally’s Baking Addiction. She is seriously the queen of getting cookies thick and soft. Using a mixer, cream the butter and sugars together on medium until smooth. Add the egg and vanilla and beat on high until combined. Add the flour mixture to the wet ingredients little by little until combined. Add the chocolate chips and sprinkles. 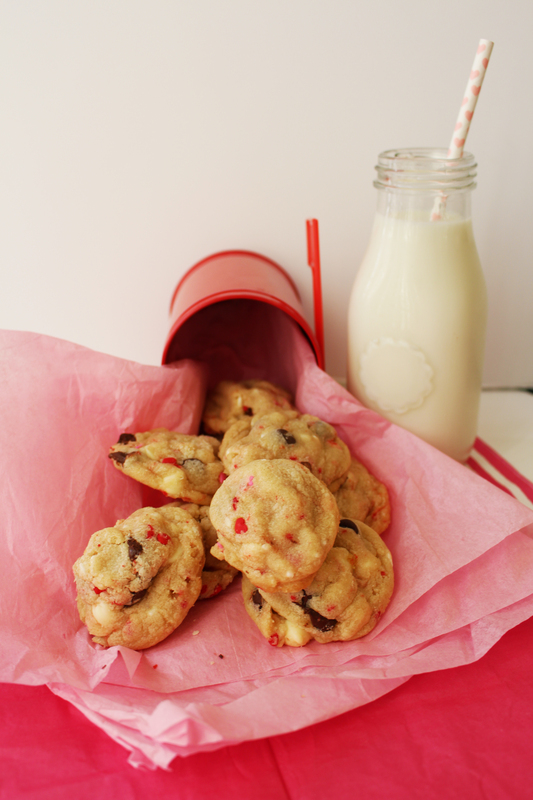 Have your kiddos add the sprinkles and chocolate chips. Maisy loves picking out which sprinkles to put in the cookies. The dough gets very thick with all the mix-ins, so I find it’s easier to mix using a rubber spatula. Wrap the dough in plastic wrap and refrigerate for at least 2 hours. This step is really important to having thick cookies that are soft. Once dough has been chilled, preheat the oven to 350 degrees. Shape your dough into balls, be sure the cookie balls are taller than they are wide. Bake the cookies for about 10 minutes. Allow the cookies to cool on the baking sheet for about 4 minutes before transferring to a wire rack. 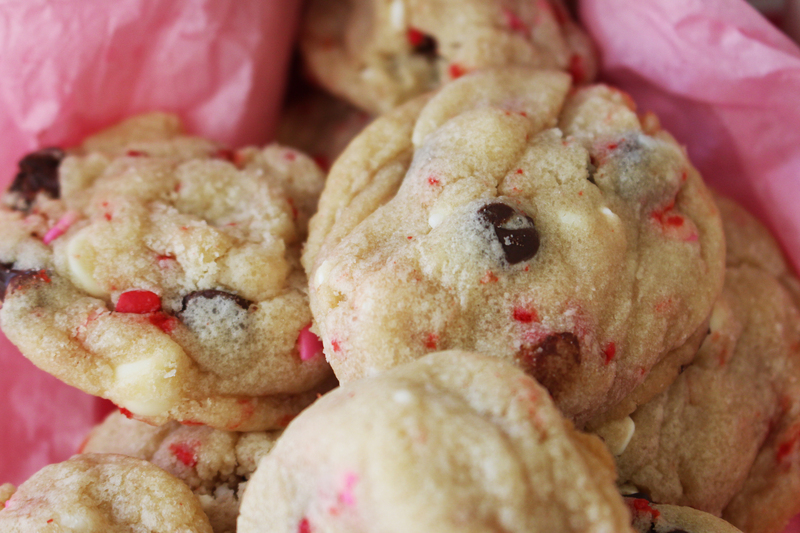 This recipe will make about 2 dozen cookies.